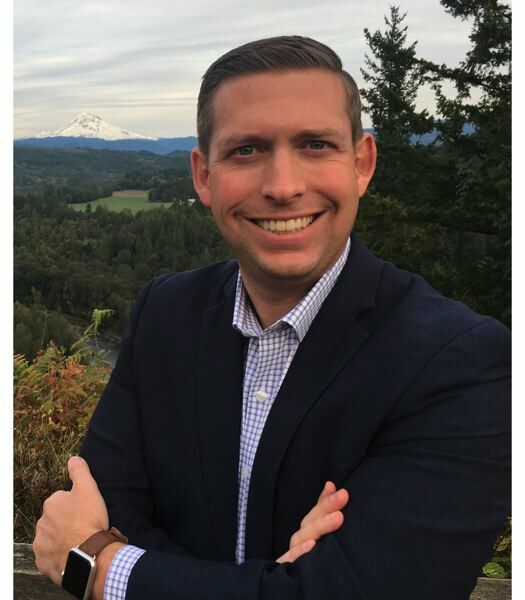 Stan Pulliam is a mayoral candidate for the city of Sandy, Ore. He describes himself as a proactive leader who wants to work with citizens, small-business owners and community organizations. As many of you may have heard, I've made the decision to run to serve as the next mayor of the city of Sandy. I was born and raised in the Sandy/Boring area. I went to local public schools. I have friendships that developed in Sandy before I could walk. And I've watched as many of those friends stay in or return to Sandy to raise their own families. I played in the local tee ball and baseball league, participated in youth soccer and played basketball through the local Sandy Recreation Center program. I grew up going to Friday night football games, eating at Paola's Pizza Barn and have not missed a Sandy Mt. Festival in more than 25 years. As a teenager, I participated in local civic activities, most notably through the Key Club and its affiliation with the Sandy Kiwanis. I even served as a shadow councilor for the Sandy City Council. Since returning home to Sandy 10 years ago with MacKensey to raise our own family, I've enjoyed watching our daughters develop the same memories that I share from my days as a youth in Sandy, like their first Mt. Festival parade, Easter egg hunts in Meinig Memorial park, breakfast at Tollgate and that first bite of a Joe's Doughnut. I LOVE Sandy. It was after returning home that MacKensey and I, like many of you, started to notice the dramatic changes our community is going through. And with Sandy being among Oregon's fastest growing cities, change continues to be on the horizon. I want to be a proactive leader that works with all our citizens, small business owners and community organizations alike. To bring all stakeholders to the table and ensure that everyone's voices are heard in what Sandy's future looks like. With these changes comes a greater need for Sandy City Hall to communicate and engage with our community. City Hall needs to be collaborative, transparent and ongoing in dialogue with all citizens, including local business owners. Our current mayor has done a great job and is a good man, but with our rapid expansion, Sandy now sits at a unique and important crossroads. Now more than ever, we need an engaged and proactive leader with an eye toward our short and longer-term future, with an understanding of where we come from. Whether it be the Sandy Mountain Festival Committee needing assistance with a new location for their carnival, the Kiwanis securing a local airport to participate in their fly-in or engagement with the Sandy Area Chamber of Commerce to help their organization grow and flourish; I want to be the kind of mayor that engages with local leaders, problem solves and works to find solutions. We may all operate as different entities, but we are all members of one community. We need leadership that brings it all together and helps Sandy put our best foot forward. That's why I've decided to put my name on the November ballot for the privilege of becoming the next mayor of Sandy. Together, we can build Sandy from a good city into a great one and the beginning of a road that will pay respect to our past and traditions while steering us collectively into our future. Please join me in helping keep Sandy wonderful.